Most of the souvenir foods of the Sendai area are based on the sea-life, zunda, or cow-tongue. It was with great excitement that I encountered a specialty line of beverages offered in one of the many souvenir shops along the tourist area of Matsushima. I have seen other specialty beverages of the area, offered usually in flavors like gyutan, which I don't recommend. If cow tongue doesn't sound appetizing on a plate, I don't know if carbonating it and putting it in a glass will help. As you can see, even the label is adorable and, if pealed off correctly, can be made into its own long lasting souvenir. 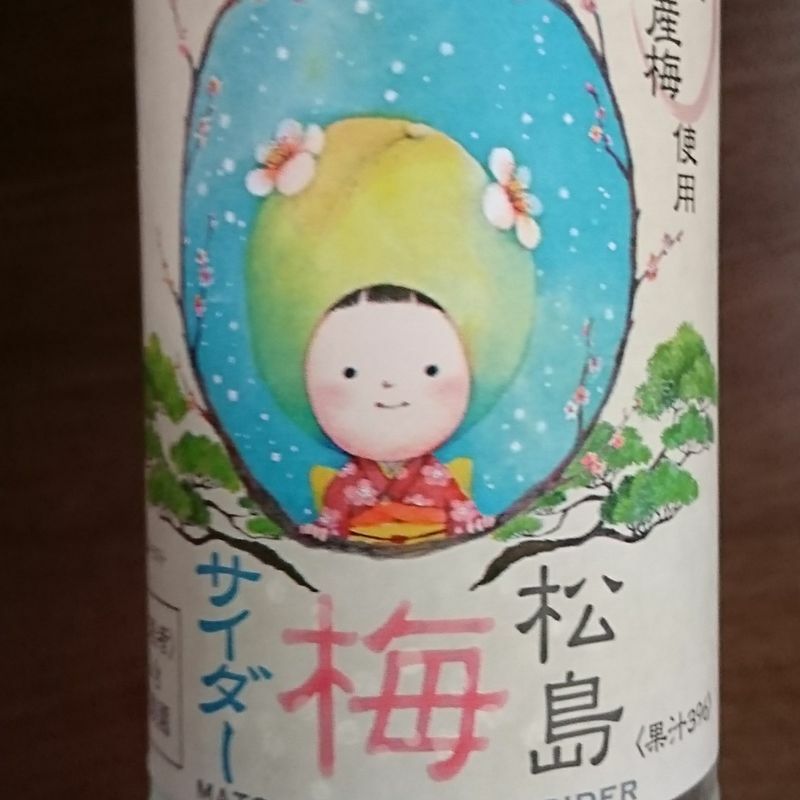 In contrast, Matsushima Ume Cider sounds plausibly delicious. Ume, or plum, could conceivably combine well with the sweetened carbonated beverage Japan has elected to call "cider" which has more in common with Sprite than the warm, spiced beverage North Americans know as apple cider. Admittedly, it took more than a week for me to get around to opening this one but not for lack of desire. It was the end of the year with so much going on and a small child, a few minutes of peace and quiet in which to fully enjoy the beverage did not come until the morning of New Year's Day while waiting to get ready to go to the shrine. So how was it? Surprisingly refreshing and not too sweet. One of the best things about Japanese renditions of sweeter foods is that there is a tendency to avoid to the over-sugared, chemical-laden flavors so common in mass-produced sweet foods and drinks back home. Instead, this taste reminds me of Clearly Canadian bottled sparkling water, which i enjoyed a lot as a kid in the early 2000s, with my very favorite flavor being black cherry. This lovely plum flavored drink offers a hint of the sweet notes of the source fruit without pounding the palate. While I do not frequently enjoy flavored carbonated water these days, instead drinking straight water, tea, or darker sodas, this is one I might pick up again. If you want to find a bottle for yourself, make the trip down the main street extending from Matsushima Kaigan Station on the Senseki line toward Godaido Shrine, but stay on the same side of the street as the Kokeshi shop, across from Kanrantei Tea House. The shop that sells curry pan out of a window on the street also offers a small selection of beverages like these in the back of the souvenir section in a cooled fridge. They also make a fine cup of coffee and have a selection of souvenirs including Maoi-themed gifts supporting the tsunami affected areas of the Minami Sanriku coast. The entire bottle went down well over the course of less than twenty minutes and was enjoyable for the duration. While plum cider isn't one of the better known souvenir foods or beverages of the area, I will definitely be recommending it to visiting friends and family on our mandatory walk through the sights and sounds of Matsushima. 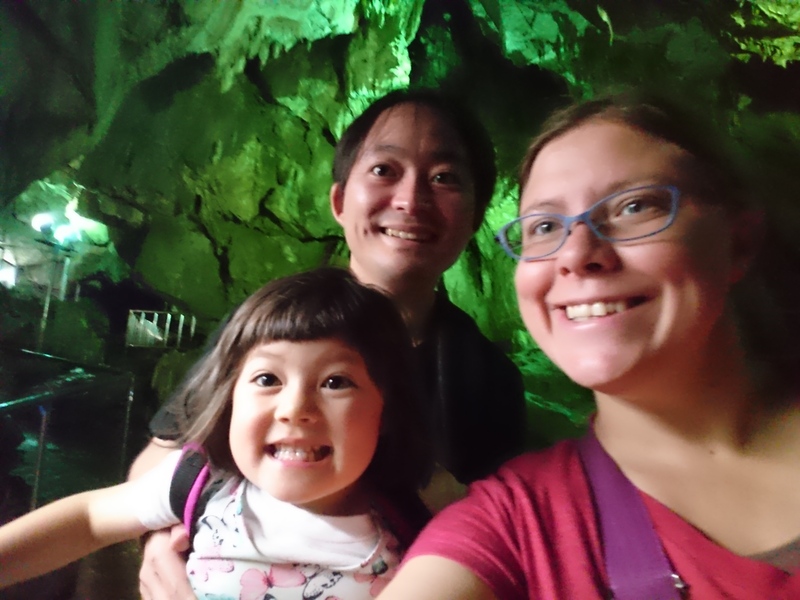 A working mom/writer/teacher, Jessica explores her surroundings in Miyagi-ken and Tohoku, enjoying the fun, quirky, and family friendly options the area has to offer.